Thank your groomsmen with a personalized Zippo lighter. Zippo’s Black Ice® lighter features sleek black finish that is the perfect gift to say thank you to everyone in your groomsmen party. Add initials, names, dates, or a message to make this lighter a memorable piece. Zippo’s Black Ice® lighter is suitable for gift giving in its environmentally friendly gift box and comes with a lifetime guarantee. 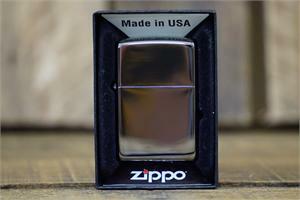 For optimum performance, fill with Zippo Premium Lighter Fluid.